Including Best Gay Gallery, Best Drag Clothes, Best Hustler Bar Turned Piano Bar, and More! Hello, my name is Michael, and I'll be your server today. Today's specials are…more "bests"! The places, people, and things that make NYC more exciting than a Bingo parlor in Hohokus. Enjoy—and learn it. Alotta McGriddles (R), photo via Facebook. 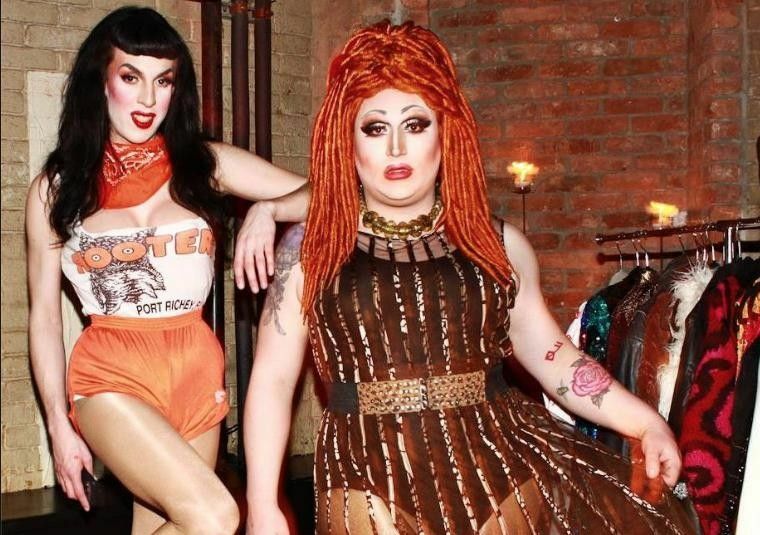 BEST RACK OF DRAG CLOTHES: Strut! Housing Works has no fewer than 13 thrift shops all around Manhattan and Brooklyn—plus a Bookstore Café in Soho—and they're filled with amazing and reasonably priced donated items. Proceeds go to helping provide services for people with HIV, so there's a feelgood aura as you pick through old books, needlepoint art, clothes, and furniture items, aiming for a buy. There are some great online auctions, but going down in person is good too, so you can check out the latest entries, whether it be a $5 beaded clutch, a $20 clown painting, or a beautiful $125 glass table. You can furnish your house and fill your closet in just a few trips, and it's all in the height of taste (and not as bad as that sounds). Housing Works truly works for me.